It’s no secret to cat owners that our feline friends love to eat! How many times a week are you woken up to the sound of scratching or frantic meowing (almost as if to signal the end of the world is nigh)? In my house of two crazy cats, I know these noises far too well. This is why, after countless Saturday mornings having an apparently starving cat yelling in my face for food, I decided to investigate my options. My research led me to a one reoccurring theme – cats need a feeding schedule. The more I read the more sense it made – cats are hunters, they like to “stalk” their food and eat small meals several times a day. Articles told me to feed my cat tiny portions every few hours, hide their food bowls, and monitor the calorie intake to keep them slim and trim. I was also supposed to do this with their water bowls… and after realizing that taking care of my cats was going to be a full time job that didn’t offer a salary (in fact, I’d come out in the red for this deal since I had to buy cat food), I found the thing that would make me the best cat mom on the planet. 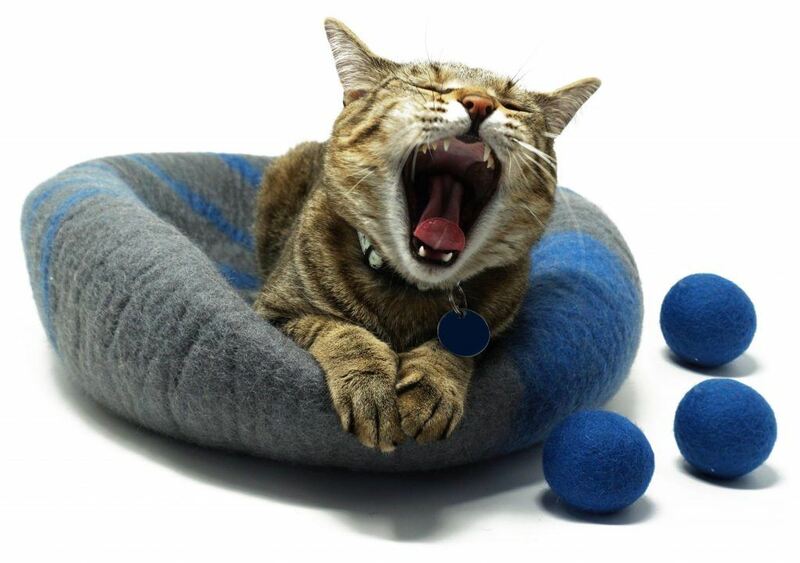 Enter a solution not only for weight control, a better night sleep for owners (at least from a cat's perspective! ), and a method to manage a multi cat household – the automatic cat feeding system. But, unfortunately, ordering a cat feeder isn’t as simple as a web search and ordering the first system that pops up. Many feeders are made for dogs, not cats, and the feline species can dig their little paws right into the feeding tube if it's too big. This leads to either stuck paws or stolen food, both of which are not the goal of the automatic feeder. Rest assured though, that in this article, I’ve done the work for you. I’ll talk about why a feeder is important, and best of all, rate the best cat feeders around (and even show you where to buy them!). Let’s head into the world of automatic cat feeders! Why Should You Use an Automatic Cat Feeder? Using an automatic feeder can have many advantages for the cats in your household. Keeping cats on a feeding schedule is important for many reasons. It allows you, as the owner, to keep an eye on the amount of food your pet is eating each day. 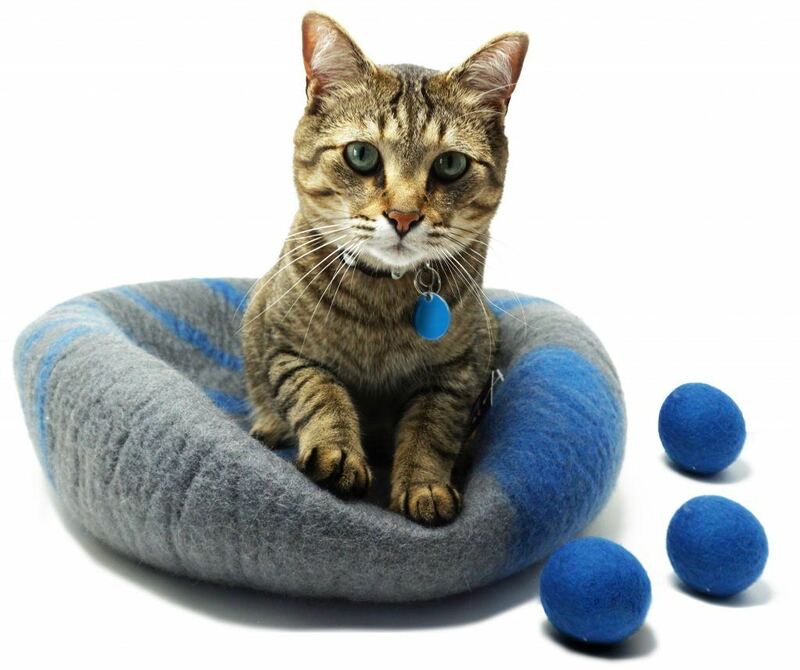 This helps maintain your cat’s ideal weight, and can prevent health issues down the line. After all, diabetes is not fun for any species! Obesity is not just a disease found in humans – animals can, and will, overeat as well! Since cats are grazers, and like to eat smaller meals frequently throughout the day, making sure a cat feels satisfied through the entire 24 hour day can be difficult. The challenge for pet owners is to find the happy place where their cat feels like he has eaten, but not eaten too much. And it's important to make sure their feline friend doesn’t feel deprived at one o’clock in the morning – which leads to the aforementioned wake up calls because Whisker’s stomach tells him he’s "starving." Using an automatic feeder takes care of virtually all of these issues! Some feeders can be programmed to make sure your cat has fresh food 24 hours a day, or as often as you set it to be dispensed. 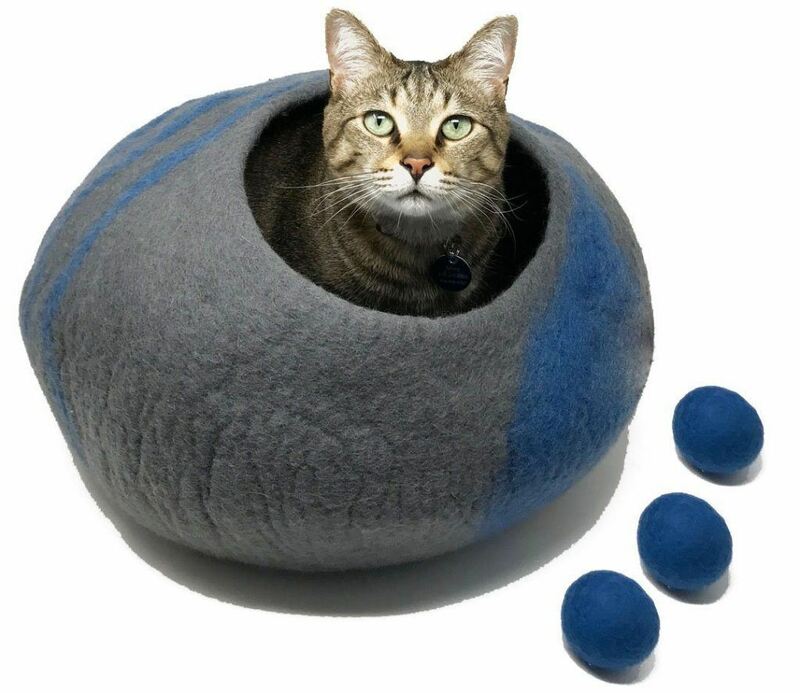 This prevents the cat from overeating, but also allows them to continue their meal over time, so they don’t feel deprived throughout the day. Using a feeder is also a great way to monitor the food intake of each animal in a multi-cat household. I have two kitties currently residing with me, and one is a skinny little thing (not unhealthy, I promise!) while the other is, as my vet lovingly said, a “walking table”. The feeder allows me to set what cat eats when, and how much each critter is actually consuming. Which Automatic Feeder Should You Use? The world of automatic cat feeders can be a confusing place. You want to be sure that the feeder you put in your house meets your needs, and the needs of your pet. This means going through several options before deciding on the one that you will actually install into your daily routine. Should it be battery operated, or hardwired? Do I want a microchip scanner, or is the food dispensing enough? Will my pet’s (or child’s) paw (or hand) get caught when they inevitably decide to play with and explore this new toy? There are many factors to consider - and here is a comprehensive list to make your decision a bit easier. For easier shopping, just click on the title of the feeder you want to purchase, and you’ll be taken directly to Amazon! This is the feeder we use for Eevee and Pixel, so I may be biased here, but I think this is by far the best feeder out there for the price! Allows flexible portions to be delivered to your pet up to 6 times a day. You can select from 1/32 of a cup to 7 cups each meal! Record your voice and call your pet 12 seconds before their meal will be served. Infrared technology is built in to prevent food from locking and getting stuck in the dispense chute - which would defeat the purpose of the feeder! Low power consumption - only 4 D batteries needed to keep power going! No outlet required! Bowl does not separate from base for cleaning. No back up power source. Product goes in and out of stock frequently, so buy today! Program up to 12 meals per day from ⅛ cup to 4 cups for each meal! Conveyer system prevents food jams, and allows dry and semi-moist foods to flow freely. Provides “slow feed mode” - prevents your pet from gobbling and getting sick from eating too quickly! Pet proof lid to keep prying hands and paws out of the dispenser! Disassembles easily for cleaning and is dishwasher safe! User interface can be a little tricky. There is potential to lock yourself out of programming the unit, only to pop the batteries out and start over. No back up power to the batteries (included), but can purchase AC adaptor in addition to this unit. Can program up to 30 microchips for accurate food distribution for each pet. Keeps animals out of each other’s food portions. Easy to use, and easy to program! Food will sit in the bowl, and isn’t dispensed. Measure allotted food per day carefully! While pets are scanned into the microchip memory, and the unit only opens for the felines programmed into the feeder, all pets that are programmed can open feeder at any time of day. Can be difficult for taller pets to fit under the arm of the feeder. Works with both wet and dry food, treats, medication, etc. Webcam allows you to check on your pets anytime. The connected smartphone app gives you total control over the feeder. Notifications are sent to your phone when a pet has been fed. Ability to provide 6 meals, each up to 8oz of food. Record your voice to call your pet to the bowl. Need wifi to connect the device for webcam to work. A little higher priced than other automatic feeders on the market. Timer will display when meal has been served to your pet. Jam proof design makes sure your pet doesn’t starve! Pause mode allows you to stop the feeding schedule without losing your programming. Program 8 meals a day from 1 teaspoon to 6 cups of food. Does not disassemble to clean. Light weight, easy for pets (or kids!) to move around the room. Uses your smartphone to schedule feedings, manage portions, and receive notifications of your pet’s feeding schedule. Portion sizes for meals can be 1/16 to 1 ½ cups. You can schedule food delivery straight from the app! Is fully washable and dishwasher safe. Shape of the bowl can make it difficult for food that is not round to roll down the chute. Bowl is detachable for easy cleaning. Voice recording to make it easier on your pet while you’re away. Only allows three feeding times. Only dry food can be used in the hopper. Available in 2 meal or 5 meal systems. Dishwasher safe - tray can be removed for easy cleaning. Each section holds 1 cup of food, and the unit can be programmed to dispense required amount. Very affordable if you’re looking for a feeder to test out. No AC power back up. 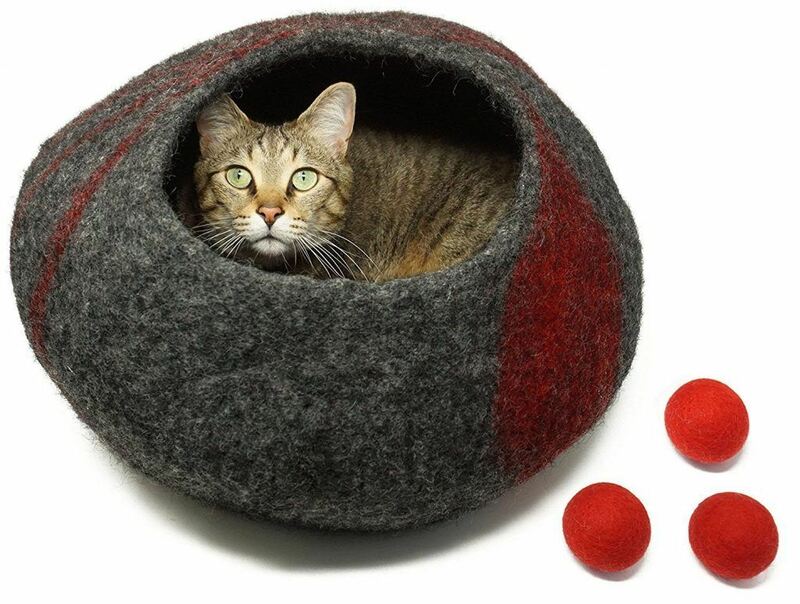 Cat can open it if they try hard enough - if your feline is resourceful, they’ll get inside! Only able to set in two hour increments. Ability to schedule 3 meals a day down to the minute! One key feed to give pet an extra meal that isn’t scheduled. Use the included remote to schedule your feedings! Voice recording to call your pet to her or his meal. Built in detection prevents food locking in the unit. Programming can be a bit tricky with the remote. Testing feeding schedules is a must to make sure your pet is being fed at assigned times. 5 meals are able to be programmed each day. Each compartment can hold dry and semi-wet food (see cons for more info). Try it with treats and medication as well! The lid is secure, but there is a lip on the food slot that allows crafty animals to pry the unit open with their teeth. Record function can be spotty - will work periodically. Can feed meals from 2 teaspoons and up - perfect for cats that need smaller meals throughout the day. Dishwasher safe and comes apart for easy cleaning! Operates with 4 batteries, and boasts 6-9 months of use! Can only program 3 meals each day. Price is a little high for no voice recording and minimal amount of meals. Connect through Wi-FI to control the feeder from your Smartphone! You can control portion size, feeding times, program the unit, and talk to your pets through the built in microphone/speaker system! HD Camera allows you to see your pets as they eat. Uses a cloud service to chart your furry friend’s eating habits - and makes it very easy to update your vet! Weighing sensor to ensure your pet always gets the right amount of food. A bit pricey, but the features outweigh the cost. Need a decent wi-fi connection for camera to work in real time. Unit only allows 5 quantity options to be set for food dispensing. Camera is raised and makes it hard to see your pet fully. While you see the top of the head, you cannot see if it is eating or not. Program 1 to 12 cups for meal distribution. Battery indicator is shown on LCD screen so you never run out of juice! Batteries don’t last very long. Average time is about 2 months. Not accurate with amount of food that is dispensed. Make sure that you verify the food intake for the first few meals. Set up to 10 portions for each meal (portion size is set by the machine) for proper meal size. Dispense up to four meals a day.Lid is magnetic, and is pretty strong! Record a personalized message to your pet. Runs on batteries OR DC power adaptor. Feeder will jam at times if too much food is set to dispense at once. Meals can be missed occasionally when machine will not read the set times. Feeds up to 4 times per day. Can record voice to call pets to meals. Operated by 4 AA batteries, and has a AC Adaptor back up. Can dispense different shapes of food - prescription disc shapes will work! Inexpensive for the features you get! Only dispenses in increments of quarter cups (between ¼ and 2 cups of dry food). Time of feedings cannot be programmed, only the number of feedings each day. Feeding dispenser jams occasionally with irregularly shaped food. Programming interface is a little difficult to user. Cats can figure out how to get extra food out of the machine. 6 separate compartments allow for 6 meals in 24 hours. Unit locks, which keeps pets out from uneaten food. Fill the compartments with as much food as you like, dry or wet (do not exceed 2 cups for each compartment). Many different feeding schedule options to make sure the system works with your pet. While the unit has a lock on the lid, highly intelligent cats (and other animals) can outsmart the locking mechanism. Two models for sale - one holds 18 cups, the other 30 cups. Twist lock will keep pets out of stored food.Dishwasher safe. Easy to program.Meals can range from ¼ cup to 3 cups (see cons for more information). Only programs 3 meals in 24 hours. Each meal can only be adjusted in ¼ cup increments. Bowl doesn’t attach to the feeder, which can cause several messy meals. While the lid is a screw top, cat’s paws are small enough to dispense more food. Phew! That’s a lot of information, I know. However, being informed when making this decision is important - especially when it comes to your furry friend! As you can see, each feeder has pros and cons associated with it. Is there a such thing as a perfect automatic cat feeder? Probably not. Each person (and feline!) will require different settings for their own personal needs. Do you (or your cat) want to be fed on pre-programmed intervals, or do you want to dictate when the meal is dispensed? What is the longest time period the feeder will be used? Will it hold enough food for the entire time? How big are the pellets in your cat’s food? Will it fit down the dispenser? (Most feeders will give measurements so you can tell if your cat’s food is compatible). Do you feed dry or wet food? Some dispensers won’t work with wet food, or even semi-wet food. Is your cat smart enough to break into the unit and gain access to the additional food? If so, explore other options! Automatic feeders help your cats by maintaining a feeding schedule with an allotted amount of food set by you (and your vet!). This schedule helps your cat maintain his or her ideal weight, which helps avoid overeating, and the results that come with it. This can include diabetes, heart problems, and joint issues - not fun for a cat! Monitor your cat and the feeder when you first set it up in your home. Cats are creatures of habit, and some, especially those on the skittish side, may not like having a robotic food dispenser give them their meals each day. This is where the voice recording can come in handy - it will give your pet the sense of you being there with them, which relaxes then in the long run. Take note of the times your cat seems to enjoy eating and schedule the feeder around your cat. This will make them feel more comfortable, and hungry enough to not care where the food comes from - they’ll just be happy to eat! Always talk to you vet before starting a feeding schedule. Make sure that the feeder you choose will dispense the proper amount of food that you and your vet decide is best for your cat. Not all cats will react the same. If you’re reading this blog, chances are you know that each cat has a different personality. What works for one cat may not work for his or her sister or brother. Ensuring your cat is eating a healthy amount each day is important, so take note of any weight loss or weight gain and talk to your vet right away. Make sure to clean your feeder regularly. Just like manual food bowls, the bowl, dispenser, and hopper of the automatic feeder need to be cleaned often. You don’t want to eat off of dirty plates, so please don’t make your felines! Remember that your first choice may not be the right choice. That’s okay! Most feeders will have a return policy that allows you to send the unit back. Read up on this before you throw away any packaging, and save yourself a potential headache and trouble down the road. We’d love to hear from you and your thoughts on using an automatic feeder in your household. Let us know what you think in the comments below!